The only eagle that flies the North American skies is the American bald eagle (Haliaeetus leucocephalus). The "Mexican eagle" isn't actually an eagle at all. 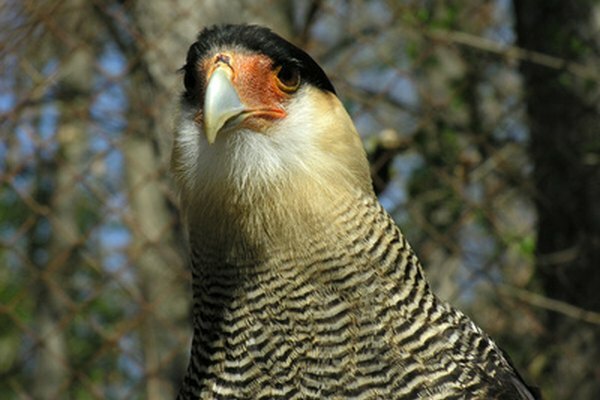 It's real name is the crested caracara (Caracara cheriway), and it's all falcon, despite its eagle-like appearance and anything but falcon-like behavior. Both bird species dine on carrion, although the bald eagle, being a member of the sea and fish eagle group, enjoys plucking fish from bodies of water when the opportunity presents itself. Bald eagles make their home throughout much of North American, including Alaska, Canada and northern Mexico. The Mexican eagle's range is far narrower. It can be found in Florida, Texas and Arizona as well as Central and South America. 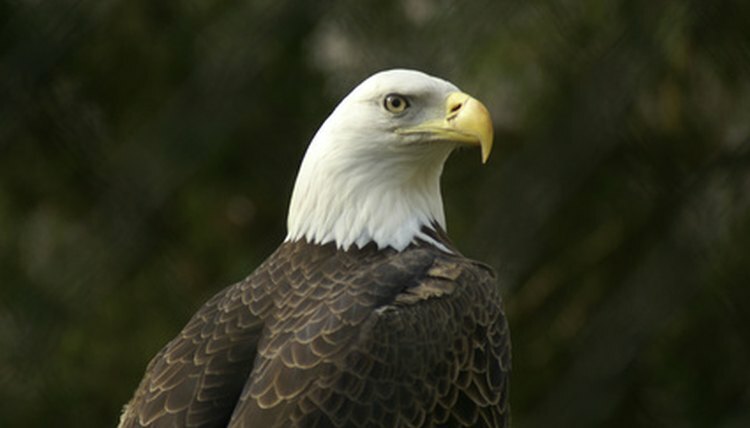 The bald eagle gained protection in 1967 and was upgraded to a threatened species in 1996. It remains protected to this day, but the bird was removed from the endangered species list in 2007. The Cornell Lab of Ornithology describes the Mexican eagle's conservation status as "least concerned." The crested caracara, or Mexican eagle, can be described as hawk-like. It's a large raptor with long legs. It sports a black cap atop its head, with a truncated crest behind. Unfeathered red skin that makes up the bird's face is striking. The black body ends in a white tail with an expansive black tip. On the upper back and breast a slight barring, or lined pattern, can be seen. Most people know the familiar black-brown body and breast--not to mention white head--of the American bald eagle. Juvenile birds tend to be brown and white with a black beak. Over the course of five years, the head and tail feathers fade to white. Crested caracaras construct enormous nests made of sticks. The location of choice is often a large tree, palm, cactus or even the ground. Two to three eggs are produced by the female, which get incubated for 28 to 32 days. American bald eagles make nests of standard materials in large trees near rivers or coats. Bald eagles lay from one to three eggs with incubation taking about 35 days. With the adoption of the great seal of the United States in 1782 came the adoption of the eagle as national emblem, reports American Bald Eagle Information. Upon the great seal, you see a spreading eagle with a view of the front of the bird. On the eagle's breast is a shield with 13 red and white stripes, and above is a blue field with 13 stars. According to Greg Lasley Nature Photography, the Mexican eagle is thought to be the bird that graces the original emblem and flag of Mexico. Mexico's current flag shows a golden eagle.